Universal PROUT Study Circle Manual (PDF). Based on the original North American study guide (see further below), this adopted universal study circle manual was produced for use around the world, with appropriate study circle questions and assignments, and with relevant quotations from the original works of P.R. Sarkar. Suggested circle format: 18 classes over half a year, including one introductory session. Facilitator's Guide to the Universal PROUT Study Circle Manual (PDF). This is the guide for facilitators / trainers, addressing the material of the above study circle manual successsively, with guidelines, commentary, and source material on the 156 study circle questions and participants' assignments. A Comprehensive Guide to the Study of PROUT A4 (PDF). This is the original North American study material, without the adoptions, questions, assignments, facilitators' guidelines, etc. 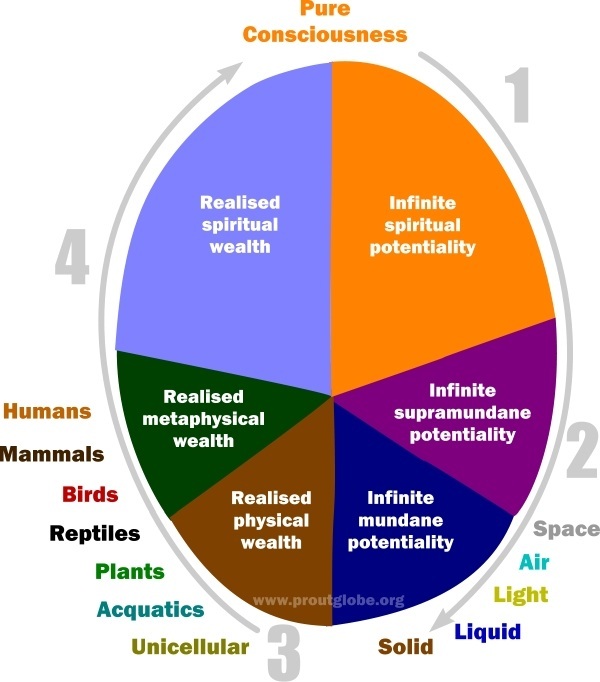 of the above universal study circle material. "Request to spend your highly valuable time to go through the attachment DYNAMIC BALANCE a rare manuscript perfectly suitable to present testing times i.e. KALI YUG that would bring prosperity and harmony to the HUMANITY as a whole – India and World "
how to enrol for self-study purpose. As PROUT advises, the best use of developmental finance is to develop cooperatives. Prout Study circle manual and Facilitators guide download page. 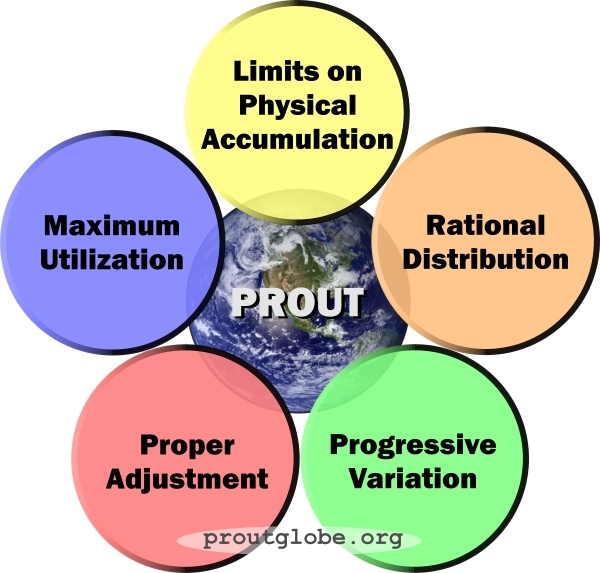 The Prout College Certificate in Prout Studies, an academic standard equivalent to a Graduate Diploma.